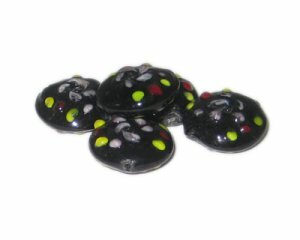 These are 20mm Black Pattern Handmade Lampwork Glass Beads, 5 beads. Very pleased & then some!! !